Lumina News file photo. 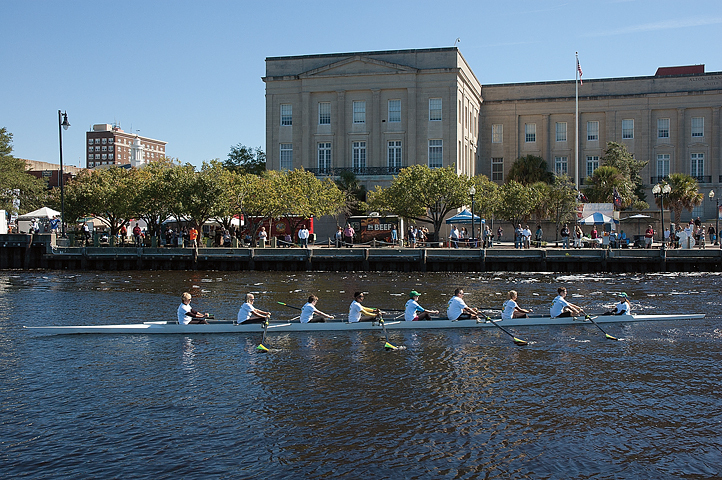 Members of the Cape Fear River Rowing Club row an eight along downtown Wilmington’s waterfront at Riverfest Oct. 5, 2014. More than 250,000 people are expected to gather in historic downtown Wilmington Oct. 2-4 for three days of musical performances, competitions and showcases and the cobblestone streets will be lined with local art, craft and food merchants. When word spread about this year’s theme, art and vendor applications poured in, Riverfest media director Melissa Jones said. “We had even more arts and crafts vendors apply than ever before,” she said. Many of these vendors reflect Wilmington’s vibrant art scene. The artist commissioned to create this year’s official Riverfest art was Ronald Williams, a Wilmington native who also created art for the inaugural Riverfest in 1979. 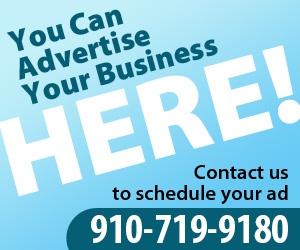 This year’s event also features a Sun Coast Cruisers Classic Car Show vintage exhibition on Market Street, rowing and paddleboard races in the Cape Fear River, a Saturday night fireworks show and a concert by Blake Kearney Band.